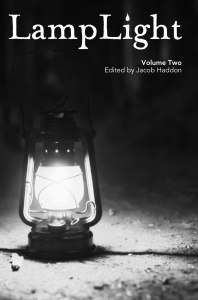 Volume 2 of LampLight is here! Our featured artist is Norman Prentiss. Part One of “The Devoted” a serial novella by James A Moore, featuring Jonathan Crowley. J.F. 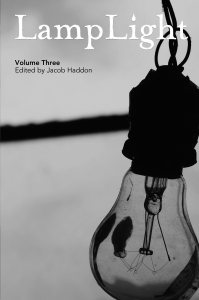 Gonzalez brings us part 2 of From the Stone Age to the Early Victorian Era, in 3000 Words, talking about the Conte Cruel. Michael Knost brings us a story connected to his upcoming novel, Return of the Mothman. 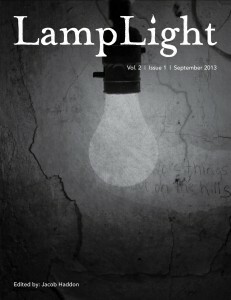 Bram Stoker Award winning writer Norman Prentiss comes to this issue of LampLight, brining a tale of dark discoveries on a vacation. He talks with us about how he began, and what influences his writing. The Devoted. 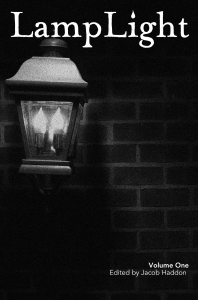 Jonathan Crowley is back, and here in LampLight. Something is amiss in a small town drawing to it a man on horseback–Jonathan Crowley. From the Stone Age to the Early Victorian Era, in 3000 Words, Part Two. In this installment, J.F. Gonzalez takes you through the Victorian era, talking about ghosts and the conte cruel.